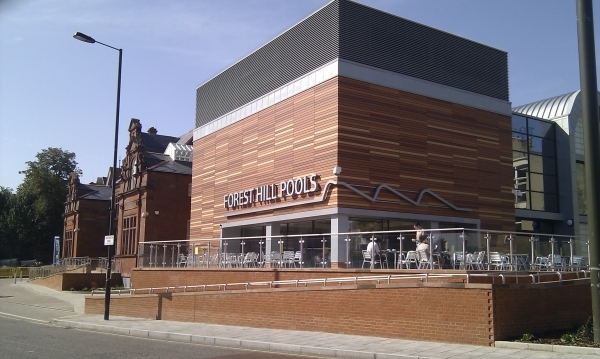 The mayor considered the pools issue this evening and once again reaffirmed his commitment to swimming in Forest Hill. STFOFH (Save the Face of Forest Hill), the Forest Hill Society, and the Forest Hill Ward councillors all recommended to the mayor that a design competition is held. The mayor said he liked the idea and would not rule out the possibility, once we have the next feasibility study. He was concerned that it could add significantly to the timescale for developing the pool and he would need compare this with the timescale for appointing an architect through other means (European Tenders process). The mayor was confident that English Heritage would not list the pools building following two rejections of the listing. Some people from STFOFH suggested to me that they would not seek to do this (however, it only takes one person to apply for listing). The mayor did indicate that the officers are making sure English Heritage is aware of their plans for the site. Both local councillors and I had suggested that the council apply for immunity from listing for the pools, to make sure that the 'sheds' at the back do not get listed and that the council can properly consider redevelopment that includes just the frontage or total demolition. However, this is apparently not possible until the planning application stage - which is still a long way off. The mayor did clearly rule out refurbishment as too much of a risk even if it were technically possible - which is apparently doubtful. There was no commitment to extra funding but a reassurance that the £7.5m allocated to the project would be safe. Councillor Chris Best emphasised the need for a quality facility fit for the 21st Century with proper provision of accessibility requirements. She suggested that the changing facilities were 'not fit for purpose'. The mayor accepted the report from the officers. 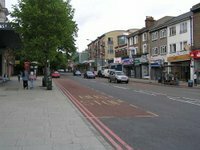 Suggested that the feasibility study should be completed by January / February 2009 (a clarification sought by the Forest Hill Society regarding 'early 2009'). He asked that between now and then that officers keep the stakeholders group informed of the situation and progress. It will be interesting to see what the conclusions of the feasibility study will be, what can be done with Louise House, what the future holds for the frontage of the pools, if there could be a design competition, and how much it will all cost.